This paper reports new FTIR data on the H2O and CO2 concentrations in glasses of 26 naturally quenched and experimentally partially homogenized melt inclusions in olivine (Fo85–91) phenocrysts from rocks of the Kliuchevskoi volcano. Measured H2O concentrations in the inclusions range from 0.02 to 4 wt.%. The wide variations in the H2O content of the inclusions, which do not correlate with the host olivine composition and contents of major elements in the melts, are explained by the H2O escape from inclusions via diffusion through the host olivine during the magma eruption and the following cooling. The largest H2O loss is characteristic of inclusions from lava samples which cooled slowly after eruption. The minimal H2O loss is observed for inclusions from rapidly quenched pyroclastic rocks. 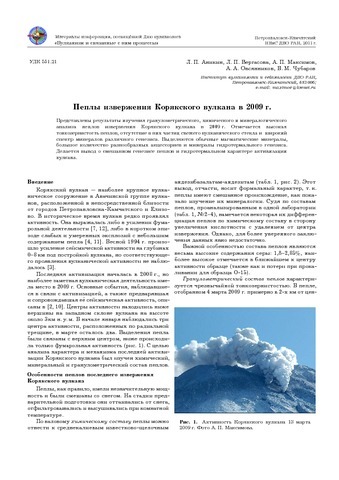 Parental magmas of the Kliuchevskoi volcano are estimated to contain 3.5 wt.% H2O. The new data imply a 40 °C lower mantle temperatures than that estimated earlier for the Kliuchevskoi primary melts. The concentrations of CO2 in glasses range from <0.01 to 0.13 wt.% and do not correlate with the type of studied inclusions and their composition. The calculated pressures of melt equilibria with H2O–CO2 fluid inside the inclusions are lower than 270 MPa. They are significantly lower than a pressure of 500 MPa calculated from the density (~0.8 g/cm3) of cogenetic fluid inclusions in high-Fo olivine. The significant pressure drop inside the melt inclusions after their trapping in olivine might be due to the H2O loss and redistribution of CO2 from melt to daughter fluid phase. Compared with melt inclusions, cogenetic fluid inclusions provide independent information about the crystallization pressures of olivine and initial CO2 content in the Kliuchevskoi magma, which were estimated to be at least 500 MPa and 0.35 wt.%, respectively. The maximum CO2 concentrations in the primary Kliuchevskoi melts are estimated at 0.8–0.9 wt.%. 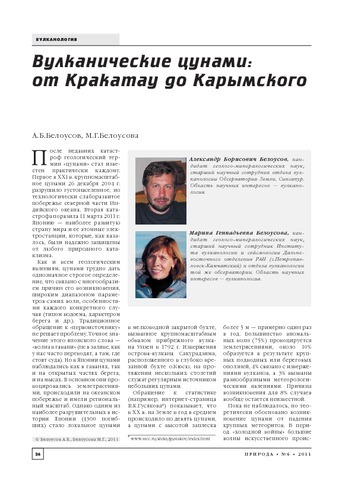 The decompression crystallization of the Kliuchevskoi magmas starts at depths of 30–40 km and proceeds with a continuous decrease in CO2 content and an increase (up to 6–7 wt.%) and then a decrease (at <300 MPa) in H2O content in melts, which explains the origin of the whole spectrum of rocks and melt inclusions of the Kliuchevskoi volcano. Проведенный обзор и анализ условий образования адакитов и магнезиальных андезитов с адакитовыми характеристиками показал, что в пределах зон субдукции Тихоокеанского кольца наблюдается большое разнообразие тектонических и геодинамических обстановок, обеспечивающих дополнительный разогрев, достаточный для плавления слэба в зонах субдукции. В большинстве случаев наблюдается плавление головной части слэба на контакте с горячей астеносферой в начальный период субдукции. В этом случае наблюдается их ассоциация с базальтами NEB типа. Большое число проявлений адакитов связано с дополнительным разогревом и плавлением слэба в субдукционных окнах независимо от условий их образования. Кроме того образование адакитов может быть связано с субдукцией еще горячих центров спрединга. Косая субдукция и трансформное взаимодействие плит могут обеспечить дополнительный разогрев, достаточный для проявления адакитового вулканизма. 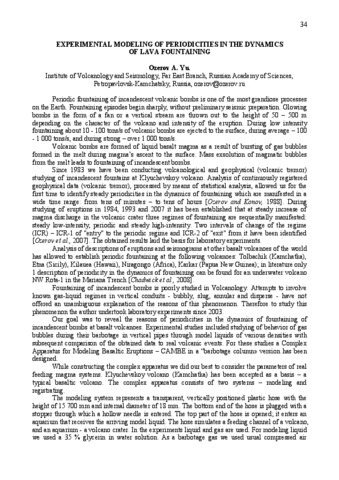 Review and analysis of genesis conditions for adakites and magnesian andesites with adakite properties showed that there are various tectonic and geodynamic settings within subduction zones of the Pacific Ring. These settings provide additional heating sufficient for slab melting in subduction zones. As a rule, on the initial stage of subduction process a front part of a new slab suffered melting caused by heat from hot asthenosphere. In this case, their association with NEB type can be traced. A large number of adakite location depend on additional heating and slab melting in slab windows regardless geodynamic conditions. Moreover, formation of adakites may probably be caused by subduction of hot spreding centers. Oblique subduction and transform interactions between plates may generate additional heating sufficient for adakite volcanism.